Question 7: Happy Halloween! Feature something spooky and Truthwitch related! So here he is - #MySeaFox, Arvensis, solitary wanderer of the seas. Because he's on the move a lot, he mostly keeps to himself, exploring and learning about life beneath the waves. He's feared by many a human who sees him, but he's not interested in any of their small, insignificant lives, so they have nothing to fear. He's a very powerful sea fox, so no one should mess with him. Arvensis has a great affinity for water of course, making his clan Water. Despite his fiery aspect! This is a novel with a premise that sounds pretty familiar. Dystopian setting, broken ideals, and teens who hold the future in their hands. But the story immediately starts with the character that I found the most interesting - Talis. The artificial intelligence who was asked to find a solution to the problem of worldwide conflict and did it by taking over the world. It's the kind of justice that actually appeals to me, even though it sets up some pretty terrible consequences. And that sort of hazy line between good and evil makes this a fascinating read. Because when the big conflict happens, it's difficult to know who to root for. The story takes the well known tropes of a dystopian novel and twists it into something very realistic. For me, however, the story takes a bit of time to really get going. The school that Greta lives in, as well as her students and the sort of world-building information we need to understand what's at stake is necessarily gone over, but pacing-wise, I felt like the last half of the book was so different from the first. It certainly did not help that I found Talis so interesting (he's a snarky, all powerful AI!) I wanted to read more of him, and had to wait awhile before he made a proper entrance into the story. There is romance in this novel which was sweet, and thankfully not insta-love, as again expectation is set up a certain way when it comes to the tropes in the novel, but it does not go in that direction at all. The novel also features diversity which helped to augment the world-building of the book, and make it more realistic, as well as make this a refreshing read. The story moves in so many unexpected directions, and features some likable, engaging characters, that I found it a wonderful read overall. The ramifications of the ending is so complex too, that I'm eager to see where the story goes in the second book. Last week, pretty much everyone was talking about how Wednesday, October 21st was the day Marty, Doc and Jennifer went to the 'future' in the second Back to the Future film. And here in the LA area, there was a convention of sorts for the Back to the Future fans, filled with visits to the film locations and appearances by some of the actors from the series. 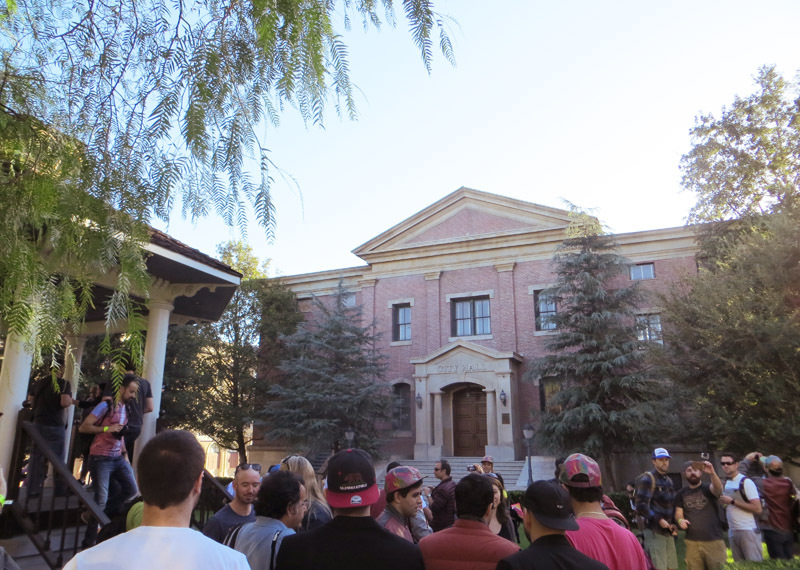 I only went to the first day of the event, which was at Universal Studios Hollywood, which houses the original outdoor set for Courthouse Square. And just for this event, they let people walk around the set! It was the best! In this post, I'm sharing a little bit of that experience. John Forsythe is accused of murdering his wife and her lover. He is guilty, as John's voiceover reveals, but he says he has been very clever about it. As the story begins, we are brought into the court trial where more than one person claims they overheard him threaten to kill his wife. But John does not counter the accusations and only brings up one point. Has anyone found the bodies? No. But John is convicted and sent to jail for 10-20 years, and gets out in 15. He then puts his plan into action. I think John's plan is fairly obvious when you get to the part where he is convicted. But I won't say any more just in case it's not that obvious. :) I enjoyed this one - John's plan is not that great in my opinion, but he certainly had his revenge, and it's a great position he's in by the time he's done with jail. There is another little incident that happens while he's in jail, that at first didn't seem important, but it's the basis for the great twist in the end. Question 6: Where do you live? What is magical about your city for you? I live in a suburb of Los Angeles, California, and here's the thing about Los Angeles, the city proper: I don't really like it. It's crowded all the time, not very clean, I wouldn't be too comfortable hanging around there at night (although it's not that dangerous I suppose.) And it's not the best city to walk around in - you need a car in LA. You could take the bus or the scant subway system, but it's not a great system, and not the best if you want to get anywhere in a timely manner. So... this is completely negative so far. 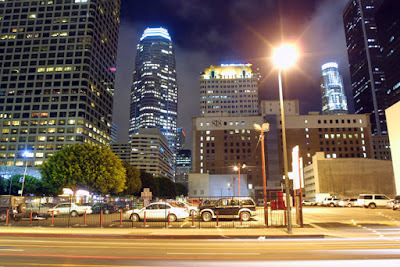 I guess what I do love about Los Angeles is the fact that I can see some great live theatre shows here. That I can drive around and sometimes see a film or TV show filming in the streets. It's nice to have a major city nearby for access to these things. And at night, all the lights are really pretty. There aren't too many must see attractions in downtown Los Angeles (probably the main ones people think of are more in Hollywood or Beverly Hills) so it's really an interesting sort of city. It's equated with California - especially with Southern California, but the actual city is not so great that it can compare in variety, culture and just class to New York, Paris, and London. If I were to tout about Southern California though, I do love it! You can get to the mountains and snow, or the desert, or a forest, or the beach and the ocean in about an hour. There's so much variety and access when it comes to culture. We have all kinds of food, lots of great places to visit, and really great weather most of the year. Just don't get too excited about the actual Los Angeles haha. Happy Halloween! Feature something spooky and Truthwitch themed! A Look at the Classical Elements + a Giveaway! 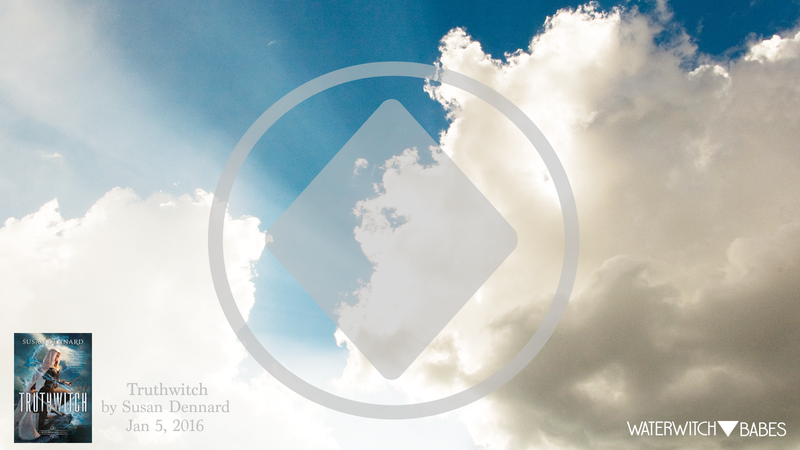 The Waterwitch Babes presents an unofficial blog tour celebrating the upcoming novel Truthwitch by Susan Dennard. For two weeks, a new post on some aspect of the novel will be featured on one Waterwitch Babes' blog. And every post will feature a question asked by that blogger and Susan Dennard's answer! The tour runs from October 13th to October 26th and there are many giveaways planned for this tour, so check out all our stops! My post for today's tour stop is a look at the history behind the classical elements - air, earth, fire, water, etc. The witches in Truthwitch all have magic based on the elements, and I thought it would be fun to learn a little more about why these particular elements were thought to form the basis of our world. Ancient beliefs varied in different parts of the world, but it was usually held that the four basic elements were earth, air, fire and water. That everything could be seen as combinations of those four things. The human body for instance, is made up of all four. All of our bones, tissue, teeth, and hair come from earth. Water makes up all the fluids, as well as mucus and some of the lighter, fluid filled organs like the kidney, liver and the brain. Hollow and porous parts like the lungs, the chest, the arteries come from air. Fire is the original of the biles, enzymes and the heart. I'm participating in the Readalong for Susan Dennard's novel "Something Strange and Deadly." 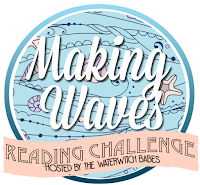 Today is the halfway point for the first book, and Steph (who is hosting the readalong) has some discussion questions for all the participants to answer. For this post, I'll be talking about two of them. Question 1: What is your favorite part of the first half of this book and why? Question 2: How do you think you would react to the Dead walking around in your city? Ummm, zombies are uber creepy. The fact that someone you may know who has died is walking around now, or just the fact that these are dead and decaying bodies freely roaming is so gross. So I feel like I would not handle this well. I would not be willing to fight them, or be anywhere nearby. If this was in my city, I would be buying a ticket out immediately. Kudos for the Philadelphian people in the novel for even pretending that nothing is happening, because one instance of the undead is enough to make me consider all my options of escape! If you are interested in reading Something Strange and Deadly by Susan Dennard (perfect for this Halloween month!) it's not too late to join in. 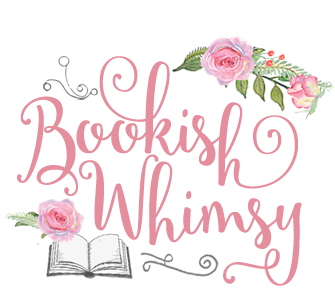 The readalong for the first book finishes up November 6th, and through Steph's blog, you can find more information on the dates and a sign up to join. Professor Marcus, a behavioral scientist, has made a name for himself in the science world, and when he is asked by an amateur scientist to travel from San Francisco to visit him in Los Angeles, Marcus agrees. The scientist, Carlotti, is welcoming, but things start getting suspicious. Marcus doesn't think Carlotti is a scientist at all. As it turns out Marcus was chosen for a plan of Carlotti's because of where Marcus lived. Carlotti has a VERY elaborate plan to murder someone and place the blame on Marcus. But Marcus is a scientist, and is known for his attention to details, so he's sure he can outsmart Carlotti. This was a pretty crazy story. From the unbelievable murder frame-up plot (basically Carlotti had a San Francisco street set up in a backlot in Hollywood, where he took a picture of Marcus "shooting" the victim to give to the police when the police finds the body in Marcus's house. What? I know.) to Marcus himself, who is so sure that he knows a way to prove the photo is a fake. Things definitely did not go the way I expected with this one - and knowing Suspense, the fact that Marcus was so sure of himself from the beginning, meant that he was going to take a fall in the end. And as it turns out, everything still worked out the way it should have. In Movie Musical Challenge, I'm watching all 25 picks for AFI's greatest musicals starting from the bottom. 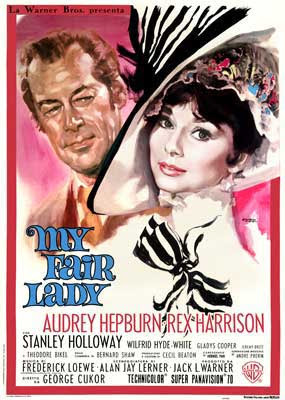 Number 8 is the 1964 adaptation of My Fair Lady starring Audrey Hepburn and Rex Harrison. I have ...often walked down this street before... just kidding. I have seen this film before, but I didn't think I really knew it all that well, so it surprised me to discover how much I knew the songs even if I didn't quite remember all the scenes. Watching this again, I realize how much fun the songs are, even with Rex Harrison's talk-singing. This is a great musical, which begins in a rather whimsical sort of way, but by the end, the personalities of Eliza and Professor Higgins are so strongly created, that the emotion of their character journeys is very striking. I think that is why this musical is so well regarded now. Eliza, as played by Audrey Hepburn, is such a luminous creature. Her personality is overwhelming in the beginning with her strident voice and accent, but Audrey transforms the character beautifully, and of course the actress herself is the embodiment of refinement and elegance. She makes Eliza perfectly sympathetic and believable. And I have to love curmudgeonly Professor Higgins. He's so awful in the way he treats people, but he is always honest, and that makes his character fun. Especially when he reacts in ways that are unexpected. I know that when I first watched this film, I wanted more of a romantic ending with the characters, but watching it now, I can see just how perfect it is that neither of them gives in too much, and they seem ready to settle into their strangely understanding relationship. It doesn't need romance because they seem happy to have each other. While watching this, I was reminded too that I have a thing for Jeremy Brett - I forgot he was in this film! I've seen him in an old production of the light opera The Merry Widow and loved that - he's so dashing and handsome. He's a bit of a milksop in this film, but still dashing and handsome. I enjoyed his scenes immensely. Favorite scene for me would have to be "I Could Have Danced All Night." Eliza's joy is catching, and the song is pretty catchy as well. I do love seeing pure joy in musicals - for some reason that emotion seems more resonant when expressed in a musical, so this was the scene that stood out for me. Overall, this is another delightful film. I was surprised to find that it was almost three hours because it went by pretty fast. I am glad I watched it for this challenge, since I fell in love with the characters and music all over again. Question 5: How is your experience with the Truthwitch Street Team so far? Or why would you like to be a part of the team? I had an earlier post where I talked a bit about first joining the street team and how I had never been a part of one before so I didn't really know what to expect. It's been a couple of months now, since I've been a part of the Truthwitch Street Team, and there are many things about the experience that I didn't expect. I feel like the clan that I was put into - the Water clan - is pretty much a perfect group of enthusiastic people, who are all so supportive, kind and creative. I love checking in with them on twitter (through their tweets or through the DM chat) and seeing what's going on. Being a part of this street team is an ongoing, collaborative project that makes me excited about more than just Truthwitch (although I'm so ready to read the whole book!!). It makes me also excited to blog, to engage with readers, and to be a part of the bookish community. I really didn't expect that the street team could be so invigorating! I almost wish I worked in publishing now - book marketing is kind of fun. Especially when you have such awesome people to work with, and an equally awesome author to promote. The other thing about this street team that I didn't expect, was how Susan Dennard would be so willing to give her time and energy to her team. Behind the scenes, she sends us special videos, swag, and sneak peeks. And it's AWESOME. And she seems the sweetest person ever. And from reading her blog posts or her Misfits and Daydreamers newsletters and how much advice and thought goes into those, I love how much she gives back to her readers. It's kind of getting sappy here, but I feel a whole lot of joy from being a part of the team. And I have to say I'm so grateful for the Waterwitch Babes, the Truthwitch fans, everyone in the Truthwitch Street Team, and of course, Susan Dennard. I probably tweeted this too much already, but we are having a #ClanChat on October 25th at Noon ET, with all the Witchlanders. Last month was so much fun, and I'm sure this month will be more of the same! Where do you live? What is magical about your city for you? In Movie Musical Challenge, I'm watching all 25 picks for AFI's greatest musicals starting from the bottom. Number 9 is the 1951 Gene Kelly classic - An American in Paris. 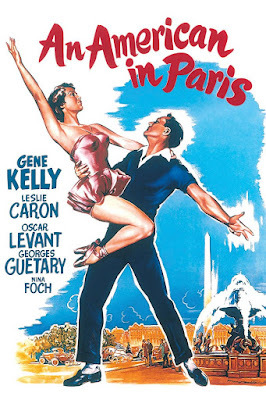 I have seen An American in Paris before and loved it, so this post is mostly going to be me listing why I loved this film. There is no critical filter here! First reason is that wit. It's not a comedy, but it has some very funny moments, and great banter between Gene's character Jerry Mulligan and his friend Adam Cook, played by Oscar Levant. They tease each other a lot and I loved their bromance. It's a shame Gene and Oscar never did any more films together. Leslie Caron. This is her first film (she was discovered by Gene Kelly) and I can't say I absolutely loved her acting, but I did love her dancing. Of course. She was a ballerina dancer, and that talent gets shown off beautifully here - from her introduction piece as the different facets of her personality is represented by dance to that glorious ballet sequence near the end. In Movie Musical Challenge, I'm watching all 25 picks for AFI's greatest musicals starting from the bottom. 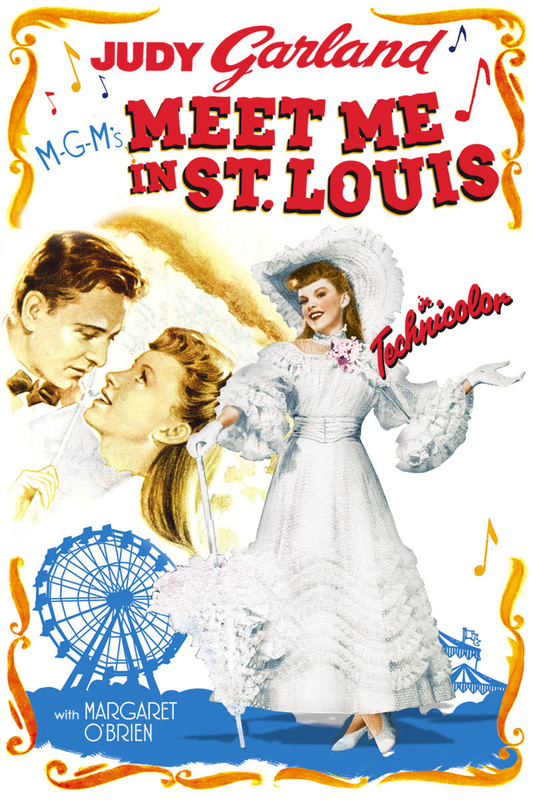 Number 10 is the 1944 film Meet Me in St. Louis starring Judy Garland. I knew very little about this musical going into watching it, and was surprised that it doesn't have a driving plot, but is more of a character piece because it mostly delves into the lives of the Smith family in St. Louis. 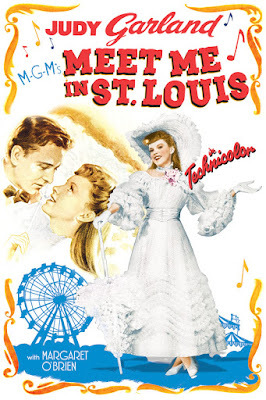 In many ways the story reminded me of "Little Women", except "Meet Me in St. Louis" is lighter and frothier. The star, Judy Garland, is magical in this film of course. She does sweet and wholesome so well, and she gets the bulk of the singing in the film and of course nails it. I was only familiar with the Trolley Song from the musical before watching this, and I may be partial here, but I think it is the best song in the film. But perhaps the most fun was the Under the Bamboo Tree song and dance that Judy does with her little sister, as played by Margaret O'Brien. Who is too adorable in this movie and she is so believable as an actress. She was so good in that scene when she completes a dare on Halloween! The romance and the family love was the heart of the story, and while I did enjoy the film as a whole, I probably wouldn't be eager to watch it again any time soon. It's a nice Hollywood look at turn of the century American culture, and the performances and singing are wonderful. There's a great message about love and family in the film as well. I can see this being a great holiday movie to watch too because there are Christmas scenes, and Judy Garland does a wonderful rendition of "Have Yourself a Merry Little Christmas". This is a very sweet film, and I can understand why it made the top 25 list. In Movie Musical Challenge, I'm watching all 25 picks for AFI's greatest musicals starting from the bottom. 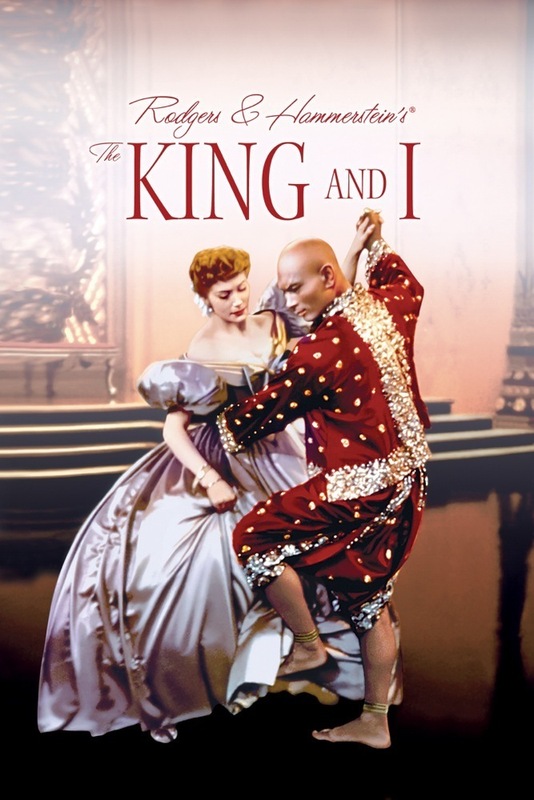 Number 11 is the 1956 film The King and I starring Deborah Kerr and Yul Brynner. The King and I seems like the kind of movie I would be all over, so when I finally sat down to watch this, I wondered why I had never watched all of it/had very little memory of the music. And now that I've seen it, I remember - it's not that great. Ok, obviously this is my personal opinion, but this kind of story was done much better in 1965 with a little movie called The Sound of Music, so I now understand why I never really got into this film. The music was mostly unmemorable for me sadly, with the only song that I really love from this show "I Have Dreamed" cut from the film (!!!). There are iconic moments and songs that appeal, but overall, I found this film to be rather unbelievable and saccharine. The two leads I loved however. Deborah Kerr was excellent as the starch but kind Anna, and Yul Brynner was a little too attractive as the King, haha. I thought they had great chemistry together, which probably accounts a lot for how well-regarded this film is. While it is unfortunate that so much of the film took place on film sets (seeing something of the real Siam, or Thailand, might have done wonders for this film like it did for The Sound of Music), I did think there were some beautiful shots and sets, and that was enjoyable for me as well. The King had a lot of children, and I found it funny that so little is seen of them too - I know the focus is on Anna and the King (it's right in the title), but I felt like seeing more of Anna's interactions with them (and not just in ways to get the King to give her a house) would have helped give the story more dimension. My favorite part of the film was the dance scene between Anna and the King, which is so full of the actor' chemistry, it is a memorable part of the film for good reason. The whole ending I had a bit of a problem with though. I guess I just don't understand the King and how difficult it was for him to change his ways. It was sad to me in a way that the King had so much potential and he just threw it all away. I could go on about that, but I don't want to reveal too much about the ending in case others have not seen the film! The King and I is a good film, but I probably would not rank it so high on the list personally. I wonder if I had grown up with this film, I might have more of a sentimental fondness for it, but as it is I appreciate it mostly for the performance of the leads, and for the fact that it is a well known Rodgers and Hammerstein film. Note: I am catching up on this challenge so I plan to post four Movie Musical Challenge reviews this week! For this week, there will be a post every day! A psychologist by the name of Eric Strange has written a bestseller book about 'blind spots' - when people don't understand how some event has happened in their life. Strange is working with a polling company to test the theories in his book, but at the last minute the head of the polling firm, Rogers, does not want to go through with the survey, and Strange does not understand why. As he is trying to make sense of it, Rogers is found dead, and Strange is intent on finding out who murdered him. 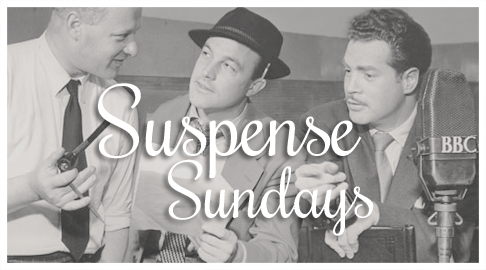 The plot of this one hour Suspense episode, gets into a lot of twists and turns. It was hard for me to keep track of some of the characters sometimes, and I'm not quite sure about the character motivations, but I do think this was a well done mystery overall. Especially because it has the surprise reveal and I didn't predict the murderer at all. I thought it was interesting that the protagonist was a psychologist - I kind of wished that played more into his detective technique. Question 4: What are your favorite books that feature one of the elements on the cover or title? 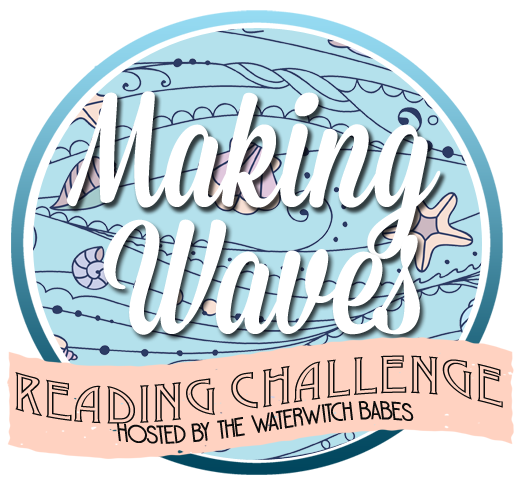 The Waterwitch Babes are hosting two reading events that we would love for everyone to participate in! One is a reading challenge for books with elemental titles/covers or themes, and the other is a read-along of Susan Dennard's trilogy - "Something Strange and Deadly". You can read more about the events (and hopefully sign up!) by checking out this post! As I keep reading this series, I increasingly tear my hair out at the task of writing a review. (I will be bald by the time the last book comes out.) There's just so much to this book that is very difficult to put together coherent thoughts that give potential readers an idea of how and why I loved the story. Without giving away too much information of course. The thing with the Throne of Glass series is it's continually growing into this expansive, beautifully dark and emotional world with epic characters and relationships. It takes it's time telling the story and wrapping you up in it's magic. I suppose I'll start at the beginning with my review then. 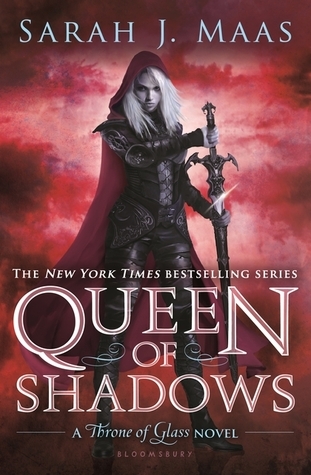 The beginning of the story did feel slow to me - there were lots of threads to pick back up after the amazing finale that was the previous book, Heir of Fire, and Sarah really does take her time making sure the emotions of all the characters and what's at stake for them is clear from the beginning. 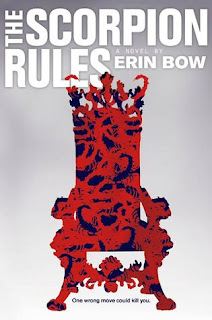 I wanted to devour this book and be impelled towards it's emotional denouement, but I appreciated that for a bit, there was just some good storytelling and a focus on getting a handle on the story before things started going crazy. Everything that is set-up with the beginning pays off completely by the end. A young man is found dead and the investigating officer interrogates his friends - three soldiers. The investigation delves into their friendship, as well as racism and intolerance. This episode was adapted from a film that came out earlier and it featured most of the film cast in the roles. The story was previously based on a book, and I found it interesting that originally the murder victim was homosexual but that could not be talked about on the radio (and films) so they made the victim Jewish. There's a message in this episode condemnatory to prejudice which is extremely important, but unfortunately I was not that impressed with the episode as a whole. This was an hour-long Suspense production, and the investigation dragged on a little too much for me. The soldiers had their secrets and it was all aired out by the end in a clever way, so I think the story is good, but perhaps the film does a better job of adapting it. Question 3: Which clan do you feel you belong to? Well, I'm water through and through, BUT for the sake of this question, I'll talk about a clan other than water. The Waterwitch Babes have an unofficial Truthwitch sorting quiz, which I took and got AIR as my clan. I also get water sometimes, if I'm in a mood and change one answer or two. It all depends! But Air, is a great element, I love that it's associated with the mind and with freedom - I can relate to having a love for that. Even though I haven't been in school for awhile, I do like to learn about new things and challenge myself to do something I haven't done before (usually of a new hobby or skill). It's why I'm a fangirl of so many things I think - something new and unknown, and interesting, appeals to me. But I wouldn't trade clans for the world, fate or the powers behind the Truthwitch street team put me in the right place. I <3 my Waterwitch Babes! The quiz is embedded below, and if you haven't yet, I would love for you to take it and let me know what you get!